iBall has launched the Andi 5c, which runs on Android 4.0 ICS and sports a massive 5-inch IPS display. The phone is based on Android 4.0 Ice cream Sandwich operating system with a 1 Ghz cortex A9 processor. It comes with built-in GPS, 3G with up to 7.2 Mbps speeds and a big 2300 mAh battery. Andi 5C has sensors like G-sensor, proximity sensor and light sensor. The phone is a dual SIM one with support for two GSM SIMs cards. It has also a 5 megapixel autofocus camera with an LED flash. 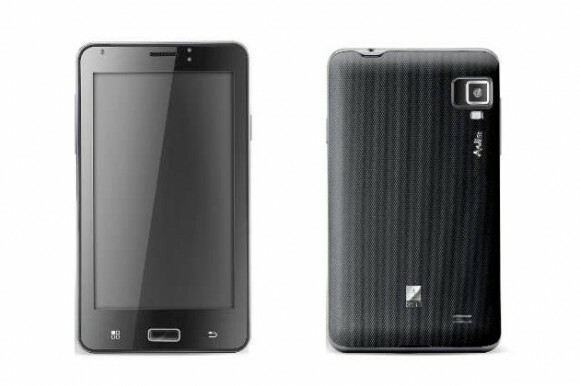 The phone will rival the Spice Stellar Horizon and the Micromax A100. Pls immediately let us know the dimentions, Weight & if tethering is possible on this ? It would be great if you can explain what are frequently reported issues if any on this piece so that its a lot clear & helps to decide quickly on this. Thanks. Hi Rana! Which phone do u think is better Galaxy S GT-I9100 or? the iPhone 5? my friend was thinking the iPhone 5 and when i bough for him the Galaxy S he said: WOW this is way more faster than my iPhone 4s!